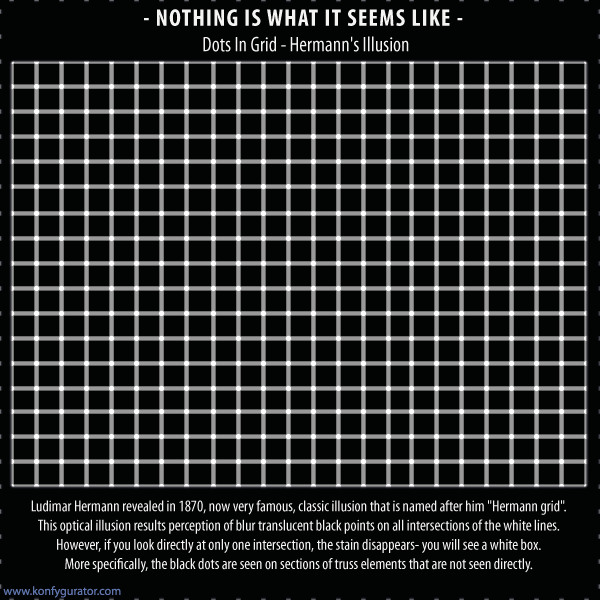 Ludimar Hermann revealed in 1870, now very famous, classic illusion that is named after him "Hermann grid". This optical illusion results perception of blur translucent black points on all intersections of the white lines. However, if you look directly at only one intersection, the stain disappears- you will see a white box. More specifically, the black dots are seen on sections of truss elements that are not seen directly.